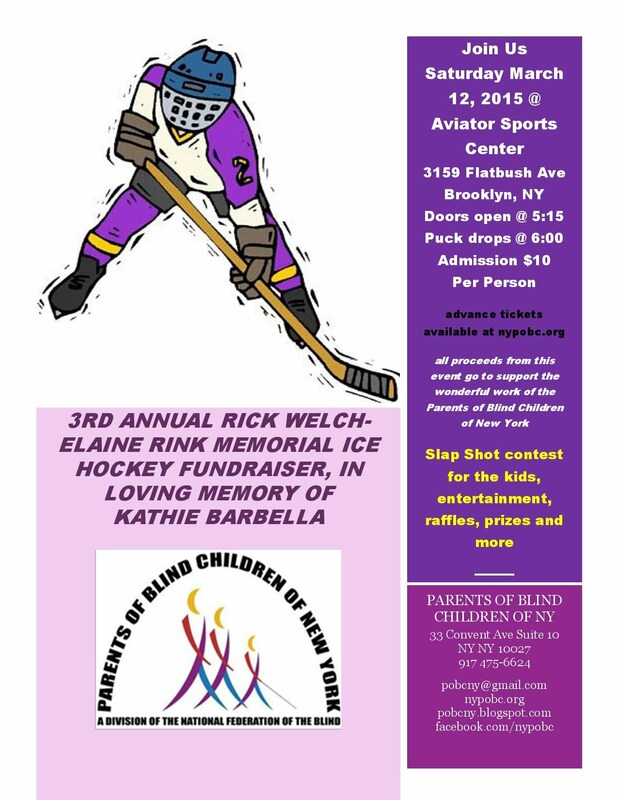 Roller Hockey Fundraiser POBCNY announces a Roller Hockey Fundraiser on July 26. Visit the event page now for more information. We are a Division of the National Federation of the Blind of New York. We are not merely a social organization, but we formulate programs and actively work to promote the economic and social betterment of blind children. We strive to create a climate of opportunity for blind children at home, at school, and within society. We provide information and support to parents of blind children and facilitate the sharing of experiences and concerns among these parents. We endeavor to develop and expand resources available to parents and their blind children. We help parents gain understanding and perspective through partnership and contact with blind adults. We are an integral part of the National Federation of the Blind of New York in its ongoing effort to eliminate discrimination and prejudice against the blind and to achieve for the blind security, equality, and opportunity.